Estate planners: Are you richer than you think? Long ago a financial planner told me the key to success was to have a steady job, invest in any company 401(k) plan that is offered, get and stay married to the same person, buy a house in an up-and-coming neighborhood, live within your means and wait. Tens of thousands of federal/postal workers and retirees fit the profile, except maybe for the one spouse rule. Even so, the fact is that a lot of people fit the profile of somebody who has done very well financially, especially if they have been with one employer for 20 or 30 years, and if that employer offers a 401K plan, a generous company match and a retirement plan. Maybe they fit it better than they realize. Estate attorney Thomas O’Rourke said the key tools in most estate plans include wills, powers of attorney, medical directives, and trusts. 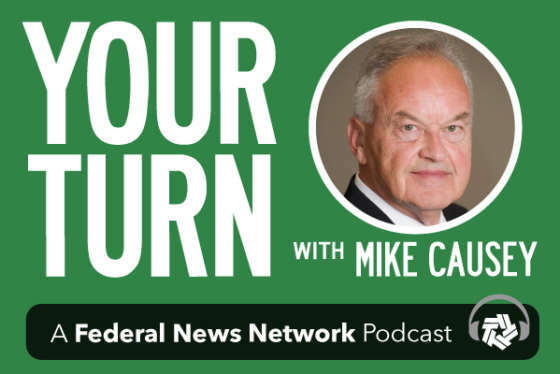 O’Rourke was the guest on this week’s episode of the Your Turn radio show and he talked about things you should be doing to plan for retirement, and how often you should review your plan. Tune in to the show Wednesdays at 10 a.m. at www.federalnewsradio.com or 1500 AM in the D.C. metro area. Questions can also be called into 202-465-3080 or emailed to mcausey@federalnewsradio.com before the show.